What Has Russia Converted to? Some people want to believe that the Consecration of Russia has already happened or, at least, that it is well underway under the benevolent leadership of Vladimir Putin, the great ‘moral’ leader of Russia. This great ‘Christian’ leader spoke at the inauguration of Europe’s largest mosque on September 23, 2015 in Moscow. For the rest of us, the Resistance Rosary Crusade is well underway, and we highly recommend participation by all! What’s going on? Fr. Kramer reported that Putin asked the Pope to consecrate Russia. The the late beloved Fr. Gruner did not confirm that when interviewed with John Vennari. 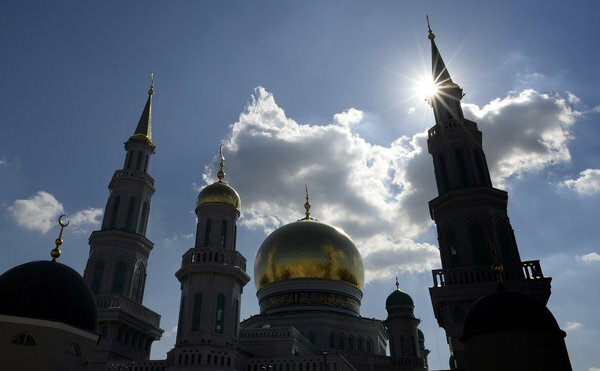 From the report it seems that Putin is creating a new religion combining everything so that IT IS VISIBLE TO THE WORLD AT LARGE in the structures of the mosque and in previous photos showing his support of the Orthodox within its visible ‘church’.